KOBOLD NBK-31/32 Bypass Level Measurement Indicator. Class 900 PN 160 or Class 1500 PN 250 Rated Pressure. 18' Max measuring length. ANSI Flange and NPT Threads connections. 316 SS. Analog Output, HART, PROFIBUS PA, Foundation TM Fieldbus and Digital Display Options. 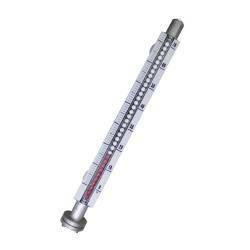 ANSI Flange 1⁄2" ... 2"
NPT Threads 1⁄2" ... 11⁄4"
KOBOLD bypass level indicators are used for continuous measurement, display, and monitoring of liquid levels. The bypass tube is attached to the side wall of the tank. According to the laws of hydrostatic pressure, the level in the bypass tube will equal the level in the tank. A fl oat, with embedded circular magnets, is located in the bypass tube and follows the liquid level, transferring the level in a non-contacting manner to a display attached to the outside of the bypass tube or to a sensing device. As the fl oat passes by, the red/white rollers are rotated in suc cession by 180� around their own axes. The rollers change from white to red as the level rises and from red to white as the level falls. The advantage of ball display is the higher protection category, good visibility of 180� and higher vibration resistance with fi lled version. 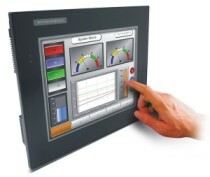 The level in a tank or a mixer is continuously displayed as a red column, even when the power fails. To remotely sense the level, a transmitter with a chain of resistors or a magnetostrictive transducer can be mounted outside the bypass tube. A continuous standard signal of 4 ... 20 mA is generated by means of a fi tted transmitter. This standard signal can then be displayed on analog or digital indicating devices. Optionally, HART � PROFIBUS � - PA or Foundation TM Fieldbus communication protocols are possible. A universal indicating unit, series ADI-1, can be mounted on the bypass tube to display and evaluate the standard signal (4 ... 20 mA) generated by the transmitter. One or more reed contacts, for point level sensing or for level control, can be mounted to the bypass tube. Process Connection: Flange ASME B 16.5 RF-2009: 1⁄2", 3⁄4", 1", 11⁄4", 11⁄2", 2"
NPT ANSI/ASME B1.20.1: 1⁄2", 3⁄4", 1", 11⁄4"
> GAUGES > EXPLOSION PROOF ATEX GL : 4 Items found.